Insects such as mosquitoes and flies carry diseases by biting an infected host, then biting you. West Nile virus has been an issue for years, and now the new Zika virus is spreading through Florida and other states thanks to infected mosquitoes. Rats also carry diseases such as rabies as do opossums. Pests such as moles and groundhogs dig holes in your pasture and either eat the beneficial bugs in the dirt or cause holes that can break the legs of livestock. Bugs eat your leaves and birds eat your berries and cherries. That’s just not acceptable after all of your hard work! All of these issues can be serious now. But if SHTF, these critters can each be lethal in their own way. And so are the bigger predators that attack your crops. 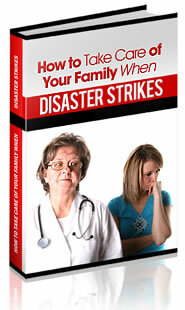 Figure out now how to deal with these pests in ways that don’t depend upon calling for help. Though there are numerous effective methods for getting rid of pests, smoke has been used for centuries for a variety of pest control situations and it’s basically a free commodity that’s easy to access. That’s why you need to know how to DIY smoke bombs. There are actually smoke bombs available commercially for very little money but, as a prepper, you probably want to know how to build your own. That’s what we’re going to discuss today. Smoke bombs are more effective as repellents than as a means to permanently get rid of pests; by its very nature, smoke is temporary and, unless it’s released in a small, confined area, it’s rarely lethal. A perfect example of this is the use of citronella candles in the evenings to keep away mosquitoes. The smoke and the smell of citronella act together to repel insects. Even if smoke does kill, you’re stuck with dead critters under your porch or whatever space it is that you’ve smoked. Definitely not what you want, so it’s best to use other methods if you want to kill the pests. Smoke can, however, be a good tool to use to smoke them out if you just want to get the rats out of the shed, the squirrels out of the attic, or the groundhogs from under the porch. It’s also a good method to get rid of bugs that may be eating your trees or birds that want to pick your cherries at exactly the right moment, an hour before you do! Building smoke bombs can be tricky because of the obvious risk of fire. As we all know, where there’s one, there’s the other and your goal is to get the rats out of the shed, not to burn the shed down altogether! That being said, there are still a couple of ways that you can use smoke to clear out pests. Rule Number 1 when it comes to smoking out pests is that you should NEVER do it inside, or use smoke bombs on furniture or anything flammable or valuable that you don’t want to smell like the bomb. Rule Number 2 is that there are probably better ways to deal with most infestations than using smoke bombs, unless you’re just trying to temporarily chase away the pest. They only work as long as the smoke exists. As soon as the smoke is gone, the pests will likely reappear. That’s fine if you’re just trying to deter bugs while you’re outside, get a hive of bees to quiet long enough to get the honey, or want to get the critters out from under the shed, so don’t get me wrong. Just don’t expect the smoke bombs to cure your pest invasion permanently. Yup, that’s right. Ping pong balls. If you think about it, they seem to be the perfect container for such things. They’re lightweight, easy to drill a hole in, and are hollow. Ping pong balls are one of those multi-purpose items that you should probably have around the house anyway, so of course people have found a way to make a smoke bomb with them. Here’s the problem: you’re burning PVC, which is extremely toxic. Also, the bombs are unstable. Even using the same method, one may make smoke while another will burst into flames. But, you may say, you’re trying to kill pests, right? Yes, but there’s no reason to give yourself cancer or burn your barn down while you’re doing it. Skip it, no matter how easy it seems to be. Basically, all you need is a tube, a wick, and a couple of ingredients that are easy to obtain: wooden matchsticks or candle wicks for the fuse, a toilet paper or paper towel roll, potassium nitrate (aka saltpeter) and sugar. Stir the mixture over low heat until it liquefies and becomes a caramel color. Be careful not to burn it! Pour the mixture onto aluminum foil in puddles about 3 inches or so around. Allow to cool. Peel off of aluminum foil and roll it up around the fuse, leaving an end sticking out to light. Cut the toilet paper roll in half. Line the inside with aluminum foil so that the roll doesn’t catch on fire when you light the fuse. Place the sugar mixture inside of it, with the fuse sticking out of one end. Pinch that end of the tube almost closed around the fuse but leave enough of an opening that the fuse will burn down to the sugar mixture, and pinch the other end into a funnel that will allow the smoke to escape. To smoke the pests, find the holes that the moles or groundhogs are occupying. Place one smoke bomb in each hole, piling the dirt around the bomb but making sure that the inside end of the bomb is inside the hole and not stuck in the dirt. Light the fuse, making sure that the sugar mixture catches before walking away. You don’t strictly need a fuse; you can actually leave a bit of the sugar mixture sticking out of the end of the roll if you’d like. A non-cooking alternative to this is to combine the sugar and saltpeter in a small paper or plastic cup and add just enough water to make it a paste. Stick the fuse in, then allow to sit for a couple of days until the mixture is completely dry. Follow the rest of the directions above. This also works for sheds, etc. Just be sure to set the smoke bomb on something non-flammable and leave room above it so that, just in case it catches on fire, you don’t burn the building down. This one’s easy, too. Aluminum nitrate is the granules found inside of a cold pack. Simply cut the cold pack open and pour the granules into a container. Add just enough water to the granules to dissolve them: don’t use any more water than you have to. Dip a rolled-up piece of newspaper into the solution and allow it to absorb the water. Remove and tie it up with some string, then allow to dry thoroughly. You can use this smoke bomb as-is or put it in the aluminum foil-lined roll as described above. Light it and you have a smoke bomb! Video first seen on Makabra203. I’ve also heard of using eggshells to hold the smoke bombs – just poke a small hole in one end and a larger one in the rounder end of the egg, blow the egg out of the shell, then use a funnel to put the bomb ingredients in. Put the fuse in the smaller end before you put the bomb ingredients in the other. Video first seen on Rex Patrick. If you simply want to get rid of insects or birds temporarily, say for an outdoor gathering or to keep them away from your tree until you can pick the berries, simply light a bonfire with the size based on the area that you want to keep pest-free. Make it big enough to produce enough smoke to encompass the area but not so big that the fire gets out of control. Citronella candles in a bucket are always good for camping if you’re trying to repel mosquitoes and flies. Just set a few of them around the site. Any time that you do an outside burn, you need to monitor it closely. This includes the bombs described above that you’re using for the mole or groundhog holes. Make sure it’s completely out before walking away from it. Now that you have a few ideas about how to build smoke bombs, go to it. Remember that smoke bombs aren’t a permanent solution; they’ll only smoke the critters out temporarily. But you still need them! And remember that these critters are not the only menace for your homestead: bigger predators are aiming to hijack your food reserve. Click on the banner below to find out more!